The Book is in nice clean readable condition. 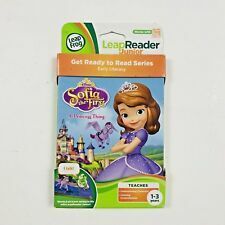 Leapster Explorer Disney The Princess and the Frog (2010) Condition is Used. Shipped with USPS First Class Package. New in box fun interactive electronic piano toy made by Disney. This is a mat you put down with piano notes that sound when you step on them. This lot includes only the books seen in the pictures. Books only. 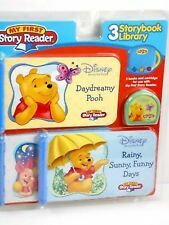 My First Story Reader Disney Winnie the Pooh Storybook 3 Books Set Library. NEW in sealed box. DISNEY ENCHANTED COUNTING TALES. MY FIRST LEAP PAD. BY LEAP FROG. DORA the EXPLORER. TO THE RESCUE. Number line. Pre-writing skills. English & Spanish vocabulary. Princess Sofia Lot. The clothing and accessories shown are designed for this particular Sofia doll and were originally sold apart. Also included is the interactive Princess Wand from Vtech. I found a second hat for this doll after the fact so i pictured it, this is included and can be seen in the last photo. Disney Princess Me Reader Electronic Reader and 8-Book Library Condition is New. Shipped with USPS Priority Mail. Shelf worn could knicks, dents, discoloration, scratches, marks, and etc.